For patients with complex medical needs, Camden South Family Doctors provides management plans that enable doctors to plan and coordinate the health care of patients with chronic or terminal medical conditions. A chronic medical condition is one that has been (or is likely to be) present for six months or longer, for example, asthma, cancer, cardiovascular disease, diabetes, musculoskeletal conditions and stroke. If you have a chronic condition, with or without complex care needs, a GP Management Plan will enable your GP to provide a structured approach to your care. It is a plan of action in which you agree management goals with your GP. Once you have a GP Management Plan in place, you are able to access up to five allied health services each calendar year. The five services can be provided by a single allied health provider or shared across different providers. You can request that your GP refer you to an allied health provider, or your GP can recommend one. We are pleased to have are very own onsite Allied Health services available for Physiotherapy, Dietician & Nutritionist, Exercise Physiology and Podiatry, which we believe adds value benefits, to our patients, doctors and medical support staff. For further advice on how these allied health professionals may provide further health benefits for you, then simply discuss that with your GP. All referrals are accepted for all blood and ECG tests, you will need to bring a Request Form, which has been signed by your doctor. 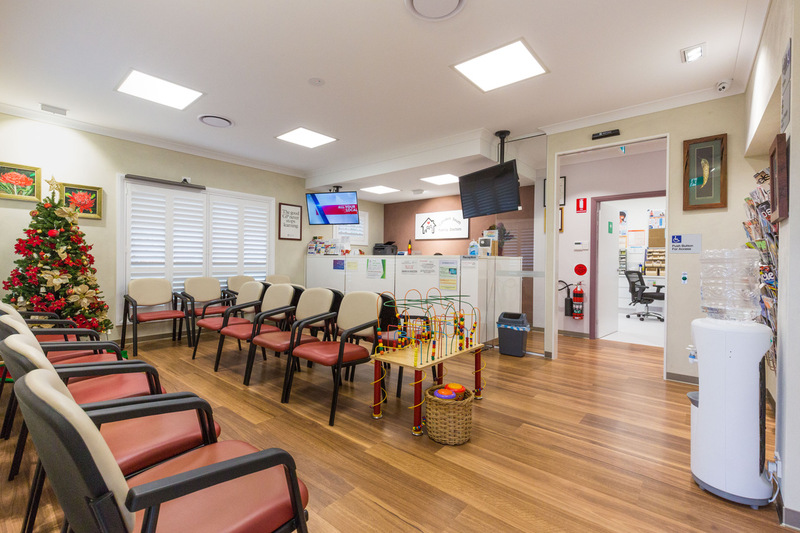 SydPath St. Vincent’s Pathology at Camden South Family Doctors, utilises BULK BILLING for outpatient services wherever possible. There are some tests, which your doctor may request that are non-rebatable and cannot be claimed through Medicare Australia. These tests are payable by the patient but any other tests ordered on the same request slip, in most cases will be charged at the rebate rate and will be fully covered by Medicare Australia. If you are on a pension or Health Care card, you should bring your Medicare card with you. You will also need to show your Health Care or Veterans’ Affairs card. This will enable us to bill you correctly. The blood collection centre is open Monday to Friday between 8am to 1pm. Appointments for blood collections during the collection hours are not necessary, simply come to our Waiting Room and grab a number from the door or announce yourself with the Pathology collector once there. So please share this news around with family members and friends, so that they may benefit by conveniently coming to us for all their blood tests. 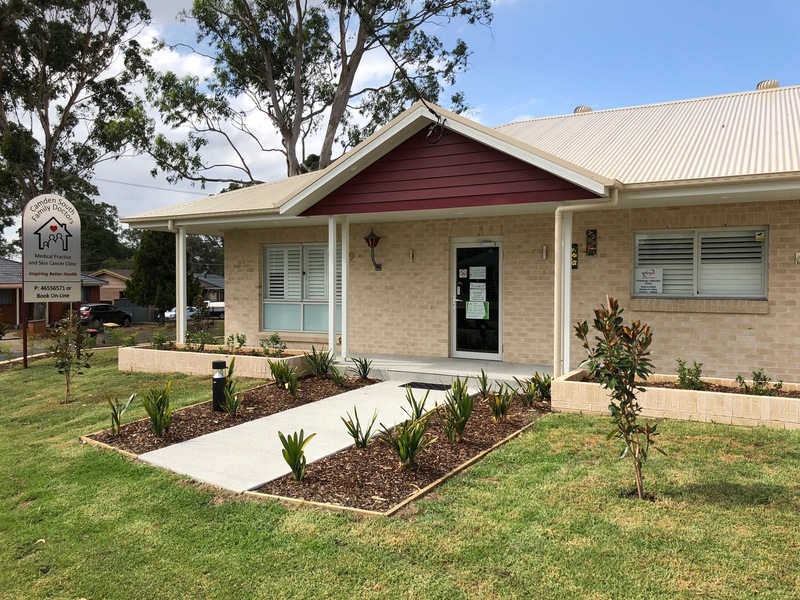 For those who don’t already know, we have moved and opened our doors to our new modern “purpose build” family medical practice, which includes a Skin Cancer clinic. We currently run with a female and two male doctors, psychologist, and two registered practice nurses. 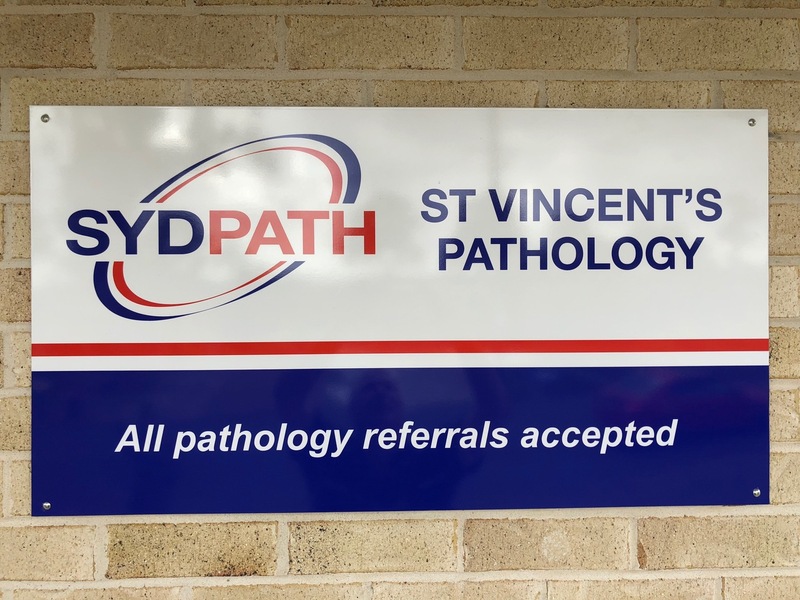 We have also recently added onsite allied health services such as Podiatry and Physiotherapy and operate alongside with SydPath St Vincent’s Pathology, who provide a Pathology collection centre that accepts all referrals. Access expert medical advice when you need it. Our friendly team aims to provide quality patient care and “Inspire Better Health”. It is chosen by a person to be responsible for their ongoing, comprehensive and holistic medical care. Patients and their families have a continuing relationship with their GP. This partnership is supported by the practice team with the GP and the whole team coordinating to provide the care needed to optimise health. We are situated in the heart of the Camden South, surrounded by a rapidly growing community. There are shops nearby including a pharmacy and a convenience store to say the least. Parking is always available onsite and we have free WiFi. 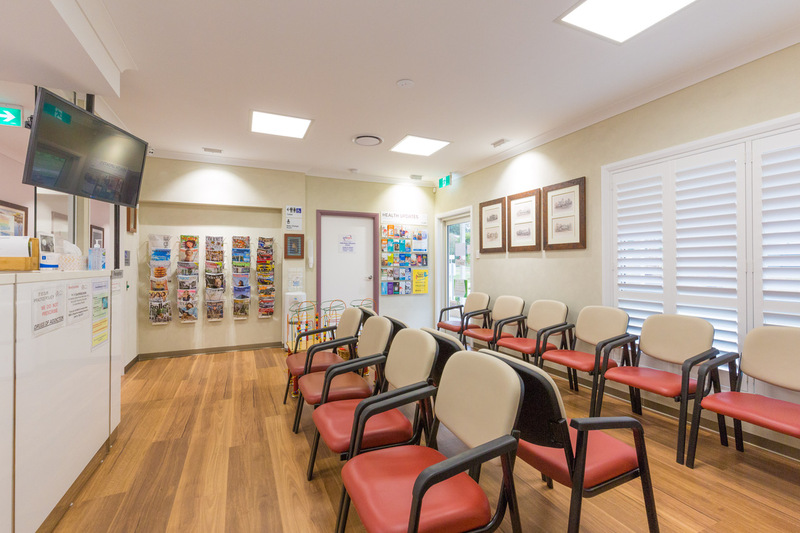 Bookings are also available On-Line from our website and we will send you a booking reminder that you have made with either the doctor or nurse. Pathology tests can be used as a simple protocol for a general health check up. They can be used for early detection of diseases. Due to early diagnosis, this can be beneficial to you as it would prevent further possible implications and for your current condition to get worse than it is at the time. Pathology tests can inform you weather you are infected with a possible contagious or noncontagious disease, an example of an infectious disease could be a bacterial infection and a non-infectious disease could be Kidney disease. It can also inform you a final diagnosis such as an assessment of a biopsy to check if a mole or lesion is a skin cancer. It can help control the effectiveness of treatment for a disease or condition such as assessing the average amount of glucose in the blood over a few months to monitor diabetic control. It can help prevent possible infectious diseases spreading to others from you but also preventing others from spreading those unwanted diseases to you also which is why this test can be significant to not just you but the community. – Provide information to confirm or exclude the presence of particular diseases, such as a wound swab to confirm or rule out a bacterial infection. – Provide a final diagnosis such as an assessment of a biopsy to check if a mole or lesion is a skin cancer. – Pathology tests are associated with more than 70% of all diagnoses and almost all cancer diagnoses. – Approximately 20% of pathology tests are requested to monitor and manage the progress of a disease or condition and proved information about how it is likely to progress (prognosis). Just to let you know that we now have our very own daily “Onsite” blood collector, from 8am to 1pm – Monday to Friday, so you are most welcome to come to us for all your Pathology tests. We are also dedicated to extend these hours for blood collection, once we just get a few more patients start using this service. Note: “All pathology referrals are accepted”. Even if you have a Pathology referral from either Douglass or Laverty, you can instead just as easily come to us, using SYDPATH Pathology to have “all” of your blood tests done, as the choice always remains with the patient as to where and with whom they would like to go with. Appointments for blood collections during the collection hours are not necessary, simply come to our Waiting Room and announce yourself with the Pathology collector once there. So please share this news around with family members and friends, so that they may benefit by conveniently coming to us for all their blood tests, instead of having to go to other Pathology centers where waiting times are long and parking is limited. • Continuing cough, then you may have asthma. You may have all of these symptoms or only a few, and they may come and go. Asthma can start at any age, and can be more of a problem when it starts in older adults, so don’t assume if you never had it as a child that it’s not possible now. No! Being breathless is not a normal part of getting older – it should always be checked out by a doctor. What should I do if I think I have asthma? If you suspect you might have asthma, you should see your doctor for a professional diagnosis. Don’t ignore it – if you do have asthma, the sooner you get it under control, the faster you can get back to living a full and active life! 1) How can I tell when my asthma is under good control? 2) How can I tell when I am getting a flare-up of asthma symptoms? 3) What medications do I need to take every day for my asthma? 4) Can I work out which triggers make my asthma worse and can I do anything about them? 5) If exercise sets off my asthma, what can I do to control that, so I can keep active? 6) What do I do if my asthma gradually gets worse over a few weeks? 7) What do I do if I have a sudden or severe asthma flare-up (an asthma attack)? 8) Can you please check that I am using my asthma devices correctly? 10) When should I see you again for an asthma review? — Any other changes in your health, e.g. quitting smoking, increasing exercise, weight changes, allergies, other health issues. — For women, if you are planning a pregnancy or may be pregnant. If you have a written asthma action plan, bring it to your appointment, so that your doctor can check it is correct and up to date. Please Welcome Our NEW Doctor – Dr. San. Who is joining the Team from the 7th August 2017. We welcome Dr. Aung Htet San, who is a Specialist General Practitioner, and will be joining us as a permanent full time doctor. He obtained his fellowship of the Royal College of General Practitioners this year in January 2017. He has worked in Myanmar (Asia), Seychelles Islands (Africa) and the UK, before he moved with his family to Australia in 2010. He graduated with Bachelor of Medicine and Bachelor of Surgery in 2000, at Yangon, Myanmar in Burma and has a Diploma in Skin Cancer. Dr. San is a passionate and considerate family doctor with a keen interest in diagnostic medicine. Don’t forget that your moles are still there under your winter clothing! Get a skin check today, as this is an ideal time in the year to have that done. The sooner a skin cancer is identified and treated, the better your chance of avoiding surgery or in the case of a serious melanoma or other skin cancer, potential disfigurement or even death. It is also a good idea to talk to your doctor about your level of risk and for advice on early detection. It’s important to get to know your skin and what is normal for you, so that you notice any changes. Skin cancers rarely hurt and are much more frequently seen than felt. Develop a regular habit of checking your skin for new spots and changes to existing freckles or moles. 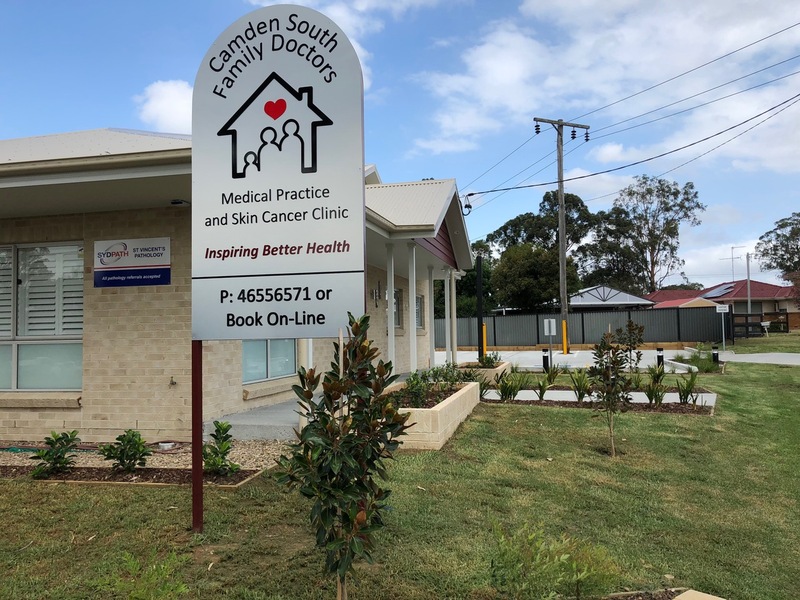 The building of your NEW Camden South Medical Practice should be completed at the end of July and then adding another 2 months for completing all the civil works, like the drainage, car-park and landscaping, whereby we should be moving over there sometime in early October. “Finally”. Let’s keep our fingers crossed, as we have all been waiting a long time for this day to come. Vaccination remains the best protection we have against influenza. The 3 years and over “Fluarix Tetra” vaccine is now already available. Who is eligible to receive the free National Immunisation Program influenza vaccines? – Pregnant women, all Aboriginal people 36 months of age and older, all persons aged 65 years and people 36 months of age and older with medical risk factors predisposing to severe influenza. The 3 years and under vaccine “FluQuadri & Junior” is now also available. This will be available for free to children aged 6 to 35 months with medical risk factors only, an example of this is Asthma and to all Aboriginal children aged 6 to 35 months.